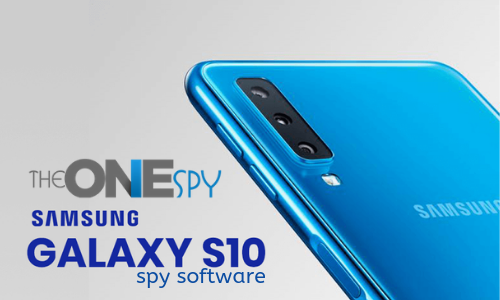 TheOneSpy is offering their clients couple of discount offers on its Android premier package and welcome to affiliates to feel free to become a partner. Now get your hands on! The discount offers on Android premier plans are for the limited span of time and if you want to make handsome amount of money then promote our brand, products and premier plans to be the TheOneSpy affiliate without paying the single penny. The offers will get expire on 2nd of Seb-17. Now, 1Month Android Plan in $5 Only! Previously we have offered the one-month premier android plan in $50, but now we are offering you the same plan offer within $5 only. Get all the Android plan features within such low price which you are not expecting. Remember the offer is for the limited period of time and the Android package you can use it for a month only. Soon After that, you want to have the same one month package; you will need to renew the package within $50. So, you can monitor your loved one’s text messages, calls, IM’s Logs, chats, and conversations; keep an eye on your employee’s activities by reading their emails, keylogger, and record & listen to company owned devices. 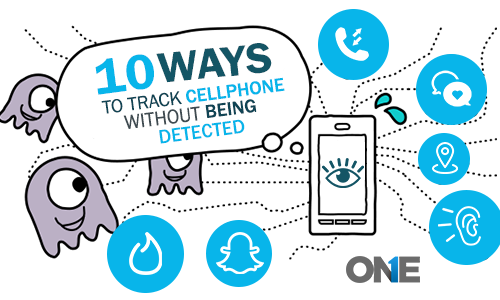 Parents can track the location of their kids, control their cell phone devices remotely, text messages spy, and browsing history and capture screen shots of all the activities they do. Such an exceptional piece of monitoring, now within the ridiculously cheap discount offer! 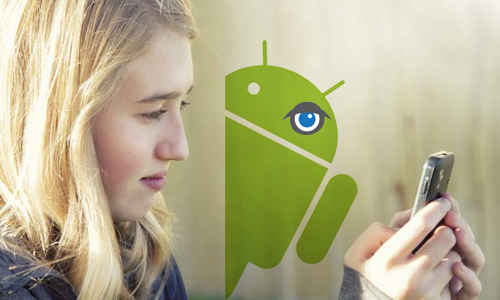 25% off on Android Premier Plan & Free MAC Monitoring software! 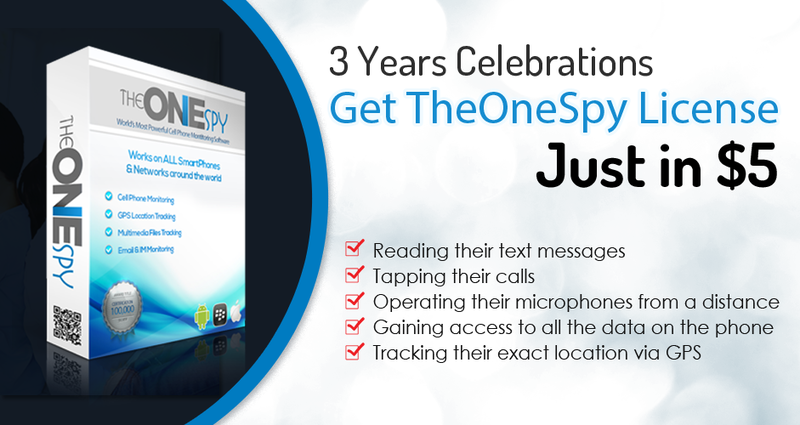 The world’s most state of the art Android monitoring app of TheOneSpy has offered 25% discount on the Android premier plan It also offers you free MAC monitoring software license free. The offer was valid until the 24th of the August-17. It provides user to an extensive range of rooted and non-rooted features in order to scrutinize the activities on the target Android device. The user can view sent and received SMS, MMS, and IMs. You can get your hands on phone logs and VoIP logs, GPS location tracker, IM’s social media, browsing history, Bug their phone, track emails and dozens of others alike. The One-month subscription price of the android spy premier package with 25% off is now available within $37 rather than $50. The quarter, bi annual and annual prices are $66, $127 and $197. Having the discount offer, you will get a free license of MAC tracking app for a whole month. The MAC monitoring app enables employers, parents to keep tabs on activities performed on MAC computer & Laptop machine by employees. It empowers users to capture screen shots, record Mac screens, MIC bug, Camera bug, and listen to the surrounding sounds, keystroke logging, Filter inappropriate websites and get your hands on sync settings. The amazing offer is valid up the limited time. If you are ready to be the TheOneSpy affiliate then feel free and join an affiliate program and earn as much as you can. Making money is up to you, how much referral you made and get finally get paid. Starts being the affiliate member and earn 45% commission initially revenue share on CPA offers. Get $200 start-up commission on a single conversion. Your performance may let you increase your discount commission, you need to make referrals, and promotion of our products and discounts and you can get help from us in a way to make the promotions better. Hurry up make money and be the top TheOneSpy affiliates. Android plans are for the limited span of time. You can make money by promoting our brand, products to be the TheOneSpy affiliate without paying the single penny. The offers will get expire on 2nd of Seb-17. Previous post Scrutinize Employees Work Rate: Proceed with Forethought Next post How to Root Samsung Galaxy S8 with KingoRoot?